Wetlands provide critical habitat for thousands of species of aquatic and terrestrial plants and animals. But wetlands also provide many good and services for humans. 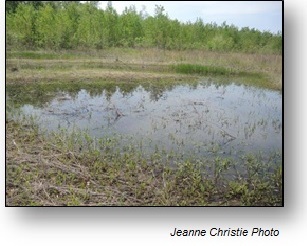 Wetlands help to absorb and slow floodwaters. Wetlands also absorb excess nutrients, sediment, and other pollutants before they reach rivers, lakes, and other waterbodies. Wetlands provide important storm surges barriers that protect coastal communities. Wetlands sequester and store excess carbon produced by human activities. And wetlands can store groundwater to combat the impacts of drought. They are great spots for fishing, canoeing, hiking, and bird-watching, and they make wonderful outdoor classrooms for people of all ages. According to the U.S. Environmental Protection Agency, there are four primary wetland types recognized in the U.S.: marshes, swamps, bogs and fens. There are many names for this wide variety of wetlands that fall into these four general categories including prairie potholes, pocosins, vernal pools, playas, bottomland hardwood forests and wetland meadows. 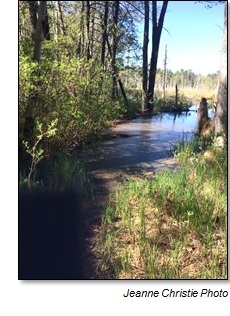 A more scientifically rigorous method of describing wetlands by vegetative characteristics is the Cowardin Classification System which is also the system used to map wetlands in the National Wetlands Inventory (NWI). For more information on NWI, see our Wetlands One-Stop Mapping section of our website. Mitsch, W. J. & Gosselink, J. G. (2015). Wetlands: 5th edition. John Wiley & Sons.